Living at the Islands at Doral is like living in a tropical paradise. As one of Doral’s most prestigious and well sought-after neighborhoods, the Islands at Doral offers its residents a quality of life like no other. Not only is the Islands situated where access to the Turnpike and other major thoroughfares are very close and easily accessible, it is close to some of the best golf courses Doral has to offer. And with downtown Miami and the Coral Gable’s Miracle Mile under 30 minutes away, Doral is centrally located and close to most every popular attraction in South Florida. Living in the Islands at Doral community affords its residents so much to do even though there is so much outside the community. 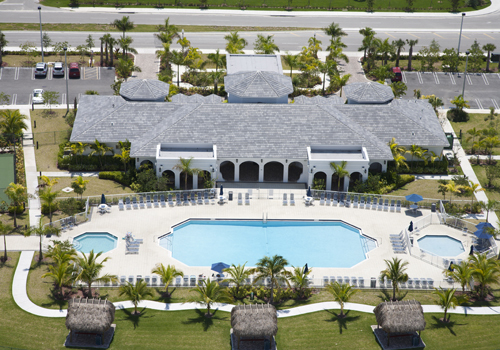 From the magnificent and huge clubhouse with fitness center, party rooms with full kitchen and meeting rooms to the large heated pool and children’s pool that are surrounded by a pool deck with pavilions and gazebos, living at the Islands at Doral is like living at a tropical resort all year long. There are also tennis courts, a basketball court and walking trails that wind through the tropical landscaping around the entire neighborhood. 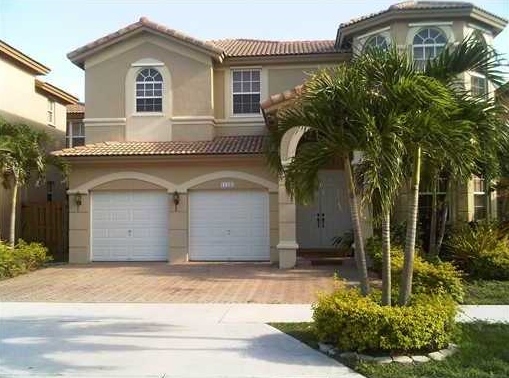 As the Islands at Doral’s top real estate listing, this home has all the bells and whistles a top listing should have. The Mediterranean style exterior leads into a double-volume ceiling in the foyer and main living area with lots of windows that let in natural light. Built in 2006, this home has over 3,100 square feet incorporating four bedrooms, four baths (each has its own bath) with one bedroom/bath on the first floor. Other features include a private pool and Jacuzzi overlooking a peaceful lake, an automated system to control the air conditioning, cameras and built-in music system and so much more. Entertaining is a breeze with the partially covered outdoor living/dining area by the pool. Inside, the kitchen is large and roomy with granite counter tops, tons of cabinet space and stainless steel appliances, and opens up to a great family room. This home is absolutely gorgeous and a lot of home for the investment. Recently remodeled, this home has five large bedrooms and four baths of which one is on the first floor with a private bath creating a perfect guest room or home office. There is also a great kitchen with granite counter tops, Sub Zero stainless steel appliances and a filtered water system. Upstairs, a loft area overlooks the main living area and is perfect for a small sitting area or home office. Four other bedrooms are situated upstairs with custom-built closets and private baths. One of the biggest perks with this home is the fantastic laundry room with utility sink which is a necessity for a family with children. Because this is South Florida, it is a bonus that there are accordion shutters and hurricane impact windows. There is so much to enjoy living in this great home in an awesome neighborhood. This wonderful and large 3,600+ square-foot home in Menorca backs up to a tranquil lake setting. It features a wide open living area with a double-volume ceiling and windows galore that let in the beautiful Florida sunshine. 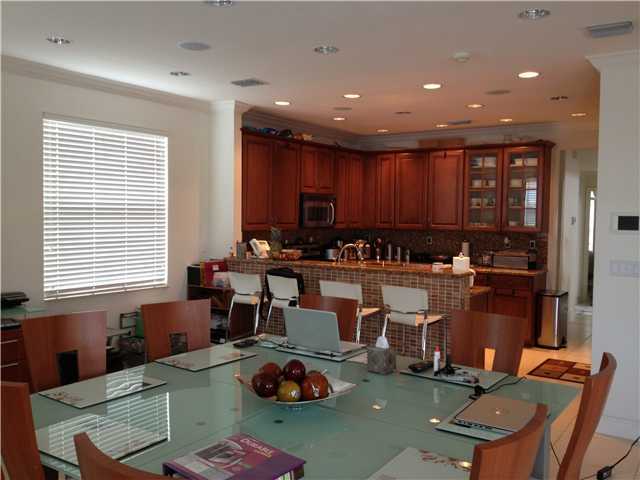 The kitchen features stainless steel appliances, granite counter tops and beautiful custom cabinetry. Outside there is a covered patio that looks out on the yard and lake. With arched doorways throughout the home and hardwood floors upstairs, this is a great home in which to live the laid back Florida lifestyle. Another 3,600+ square-foot home, this Islands at Doral home also has the double-volume ceiling in the living room. 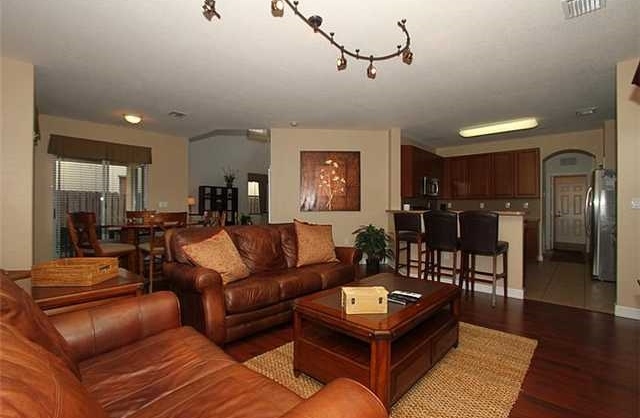 The large kitchen has stainless steel appliances and lots of room to prepare large family meals. It opens up to a great family room that has French doors leading out to a private pool and covered patio that is ideal for an outdoor living area. The master suite has an open and airy feeling as do the other bedrooms. This five-bedroom, four and a half-bath home is ideal for families as it is situated across from a park-like green space with plenty of room to let kids run and play. arched doorways to the open loft overlooking the living room, it is a beautiful home. Here, the first floor bedroom has been converted into an office but with a private bath, it is ideal for a guest room. Outside, there is a covered patio overlooking the manicured backyard. And, like the other homes, with five bedrooms and four baths not to mention the green space across the street, it is a great home for large families. 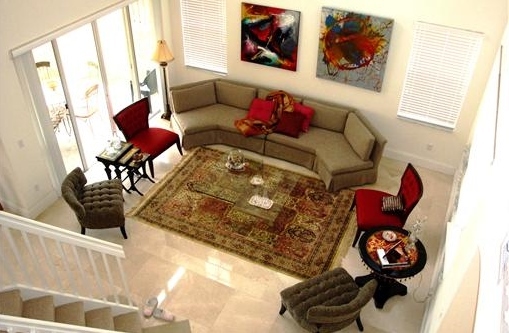 The Islands at Doral is an ideal family community and offers Doral real estate some of the nicest Doral real estate. 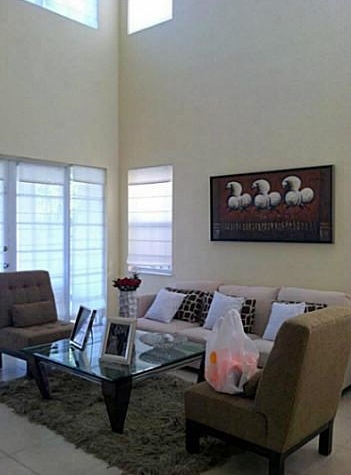 From all the neighborhood has to offer to the wonderful homes throughout to the close proximity to excellent Doral schools, this is definitely worth heavy consideration when looking for a neighborhood in which to live. The market of real estate is being considered as the alternative investment class to many people these days. You can find homes for sale in Coral Gables, with a lush green avenues winding through the residential city and embellished with detailed and playful architectural features.